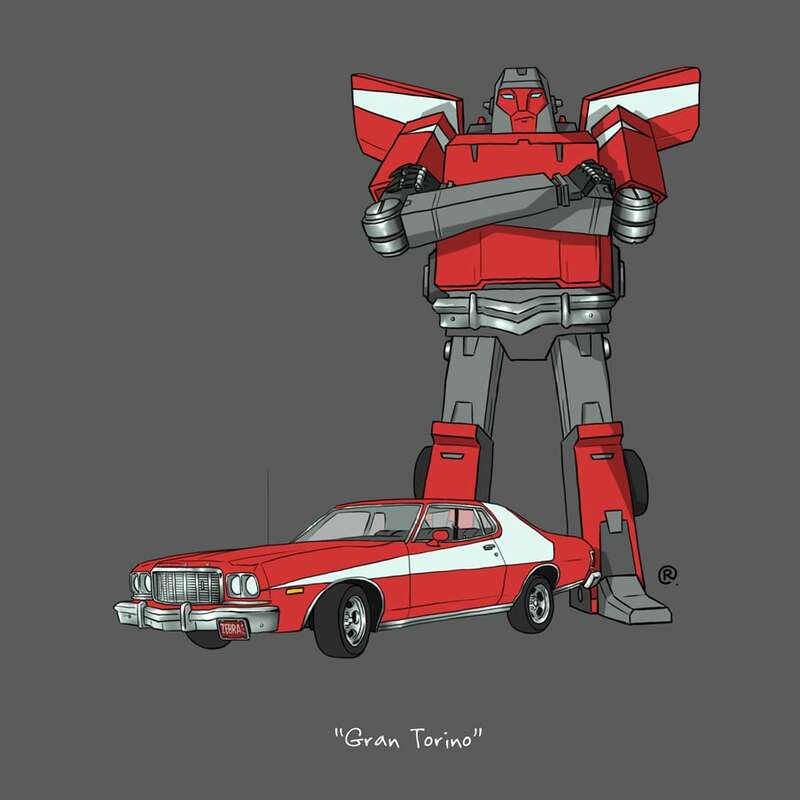 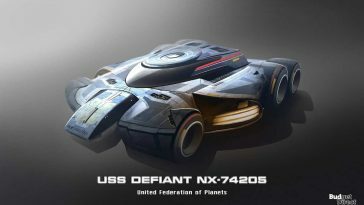 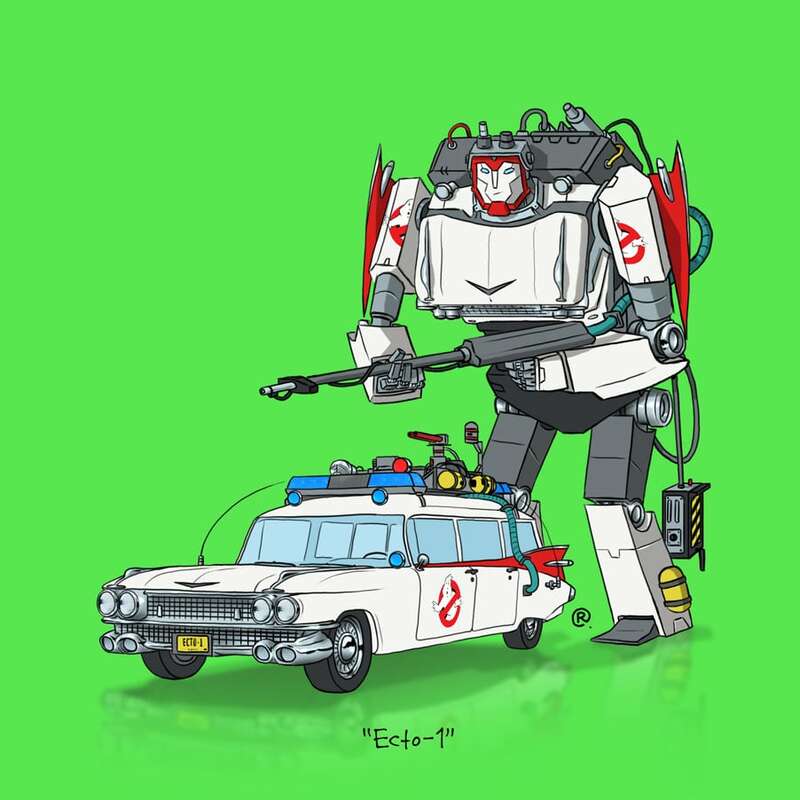 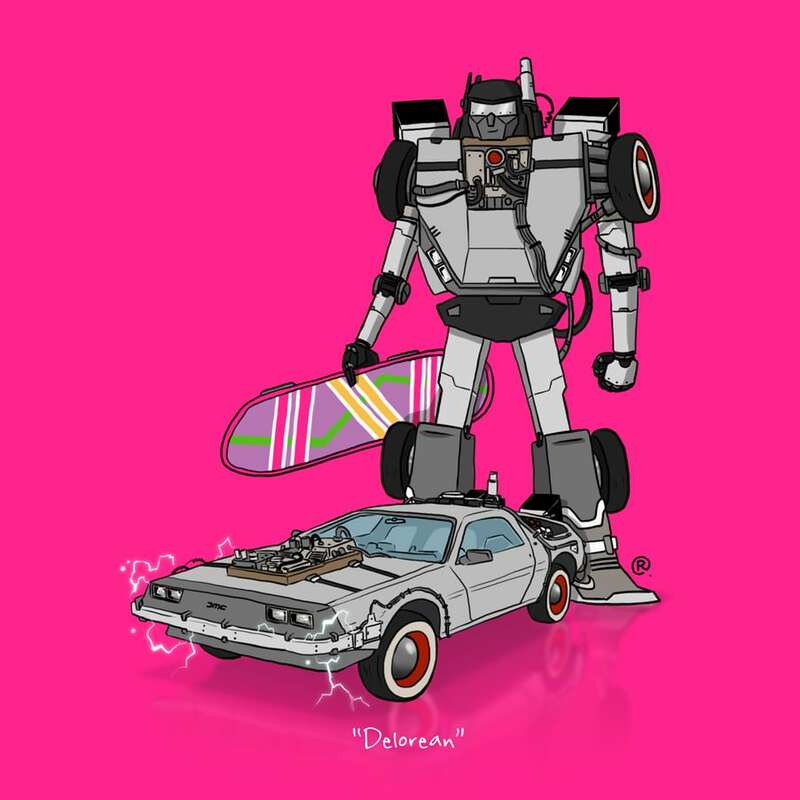 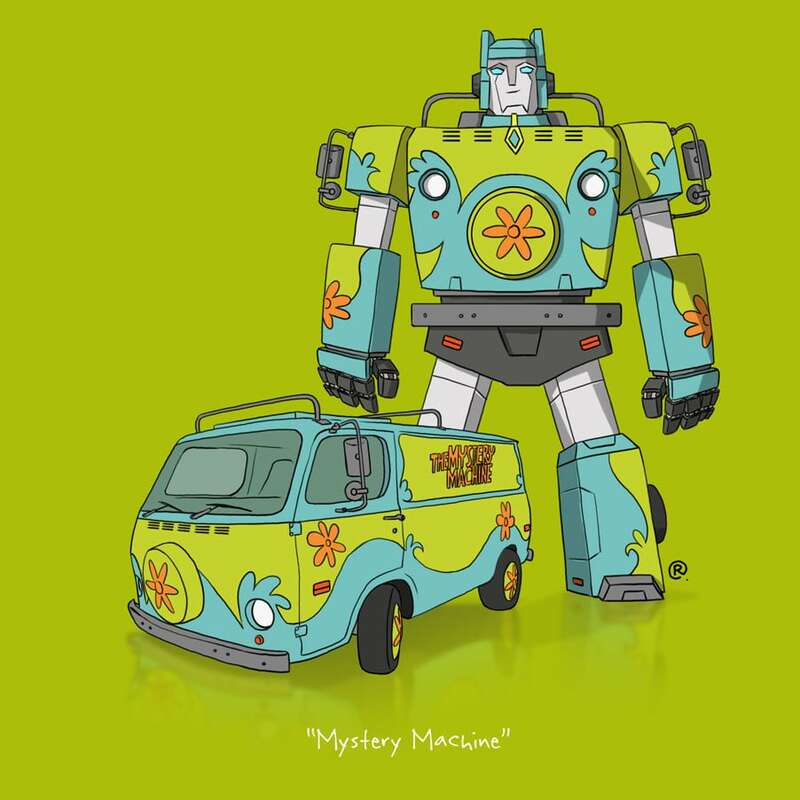 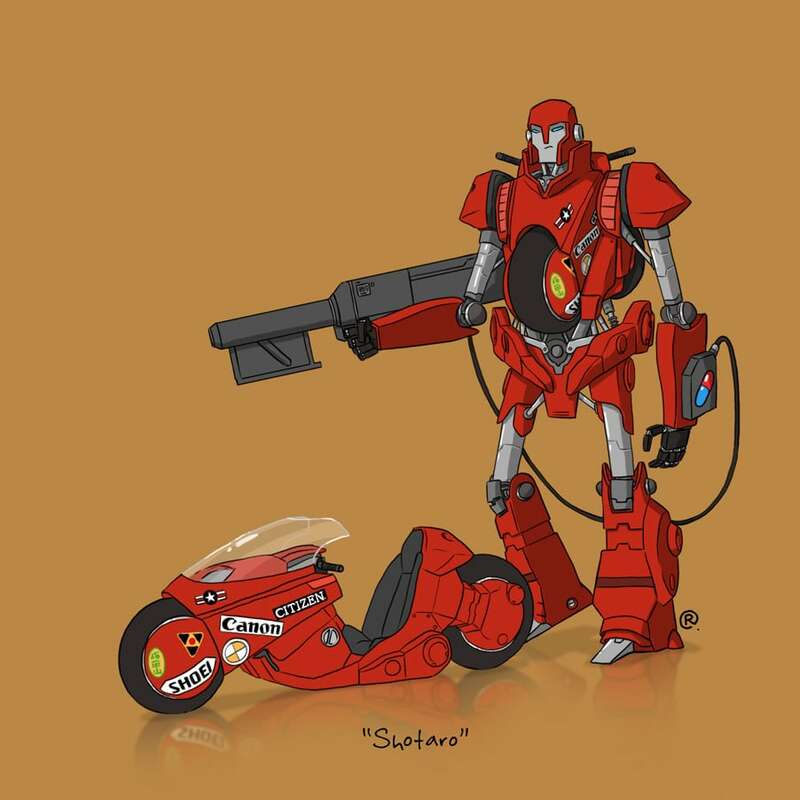 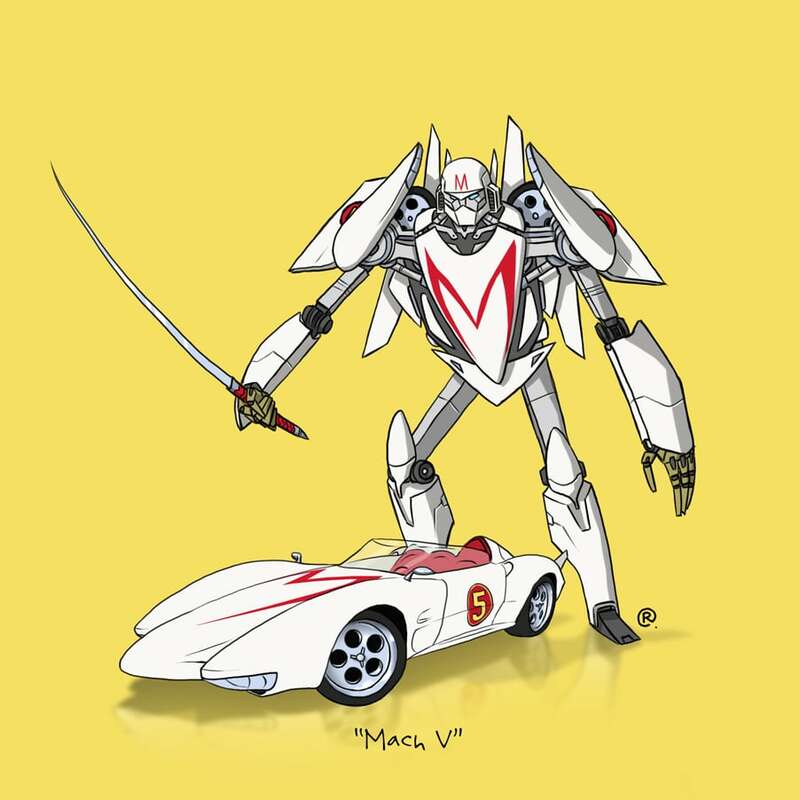 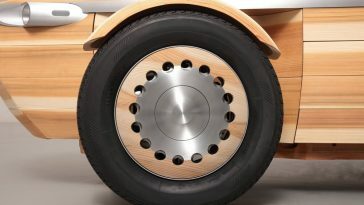 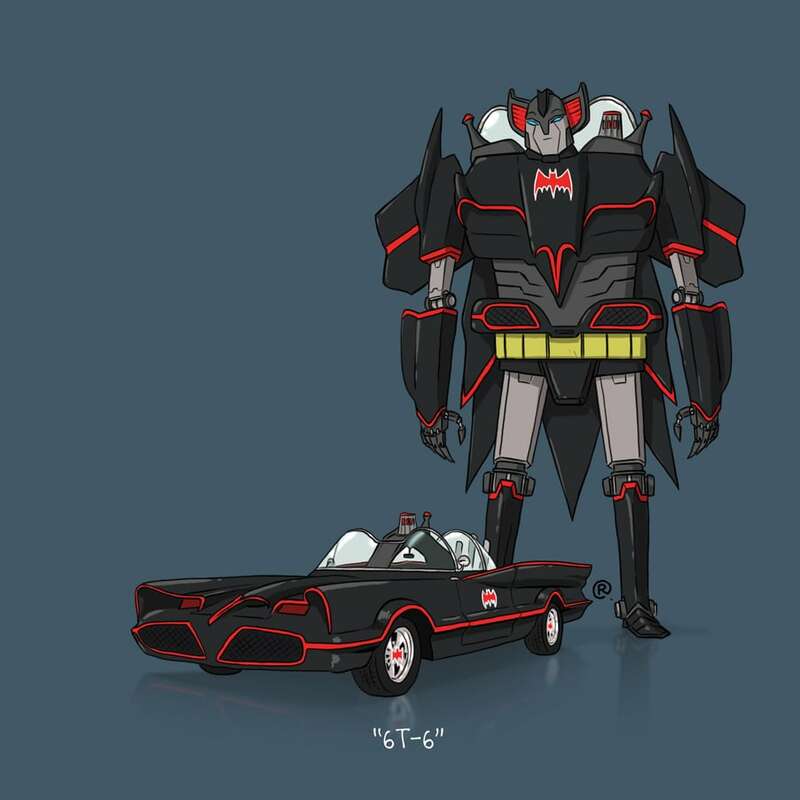 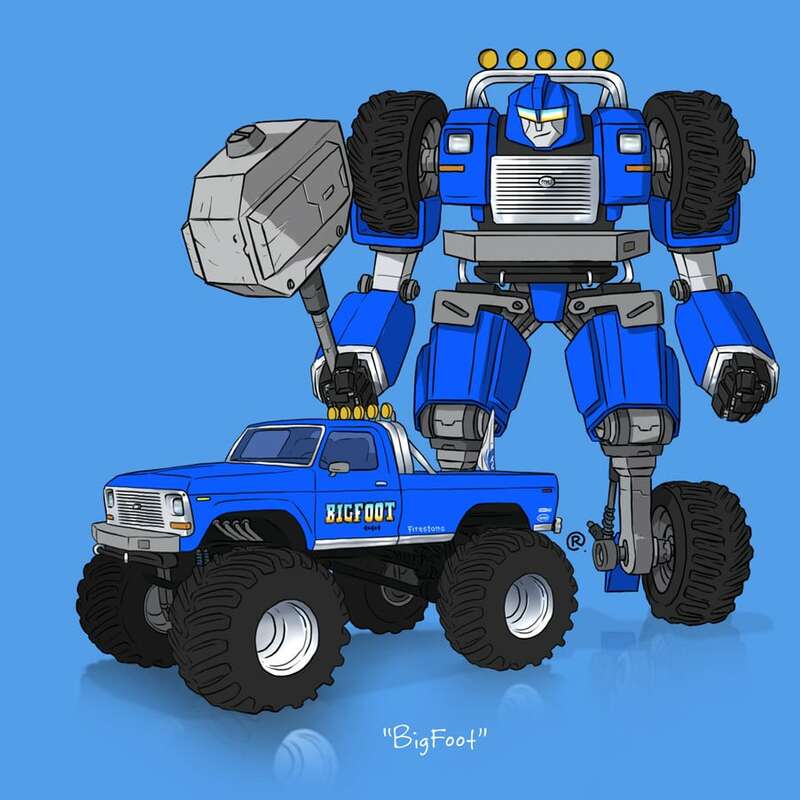 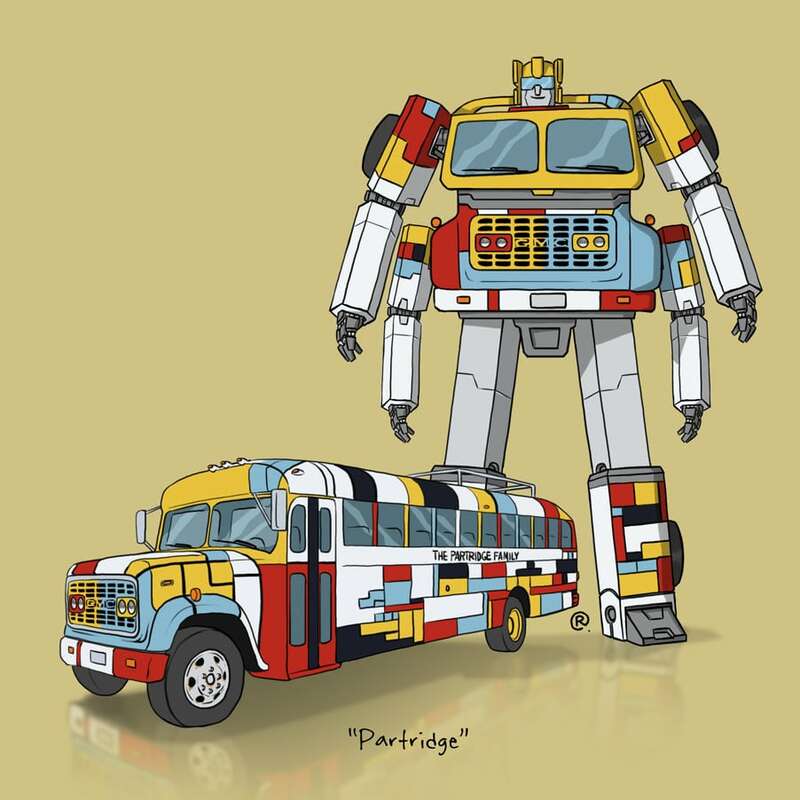 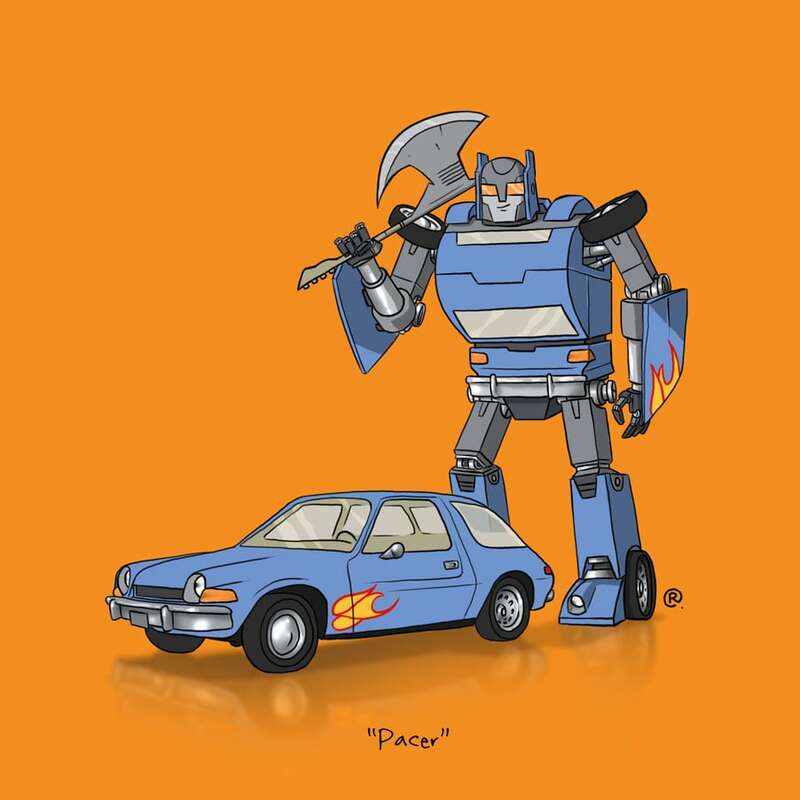 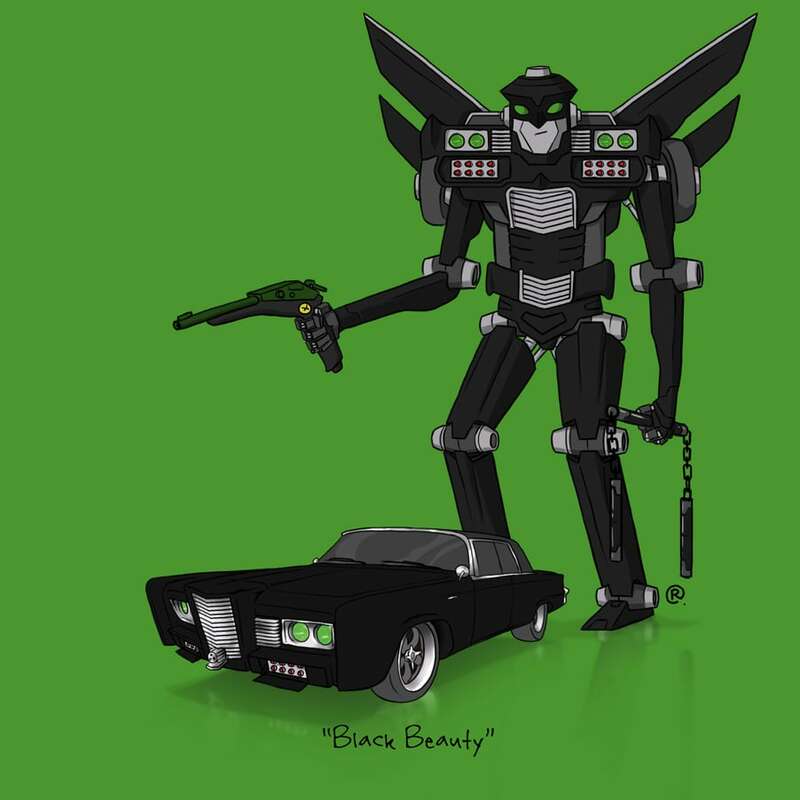 In this art series, Darren Rawlings takes iconic automobiles from movies and television and asks the question, “What if they could transform?” I would like to think that if these vehicles were indeed Transformers, they’d all be Autobots. 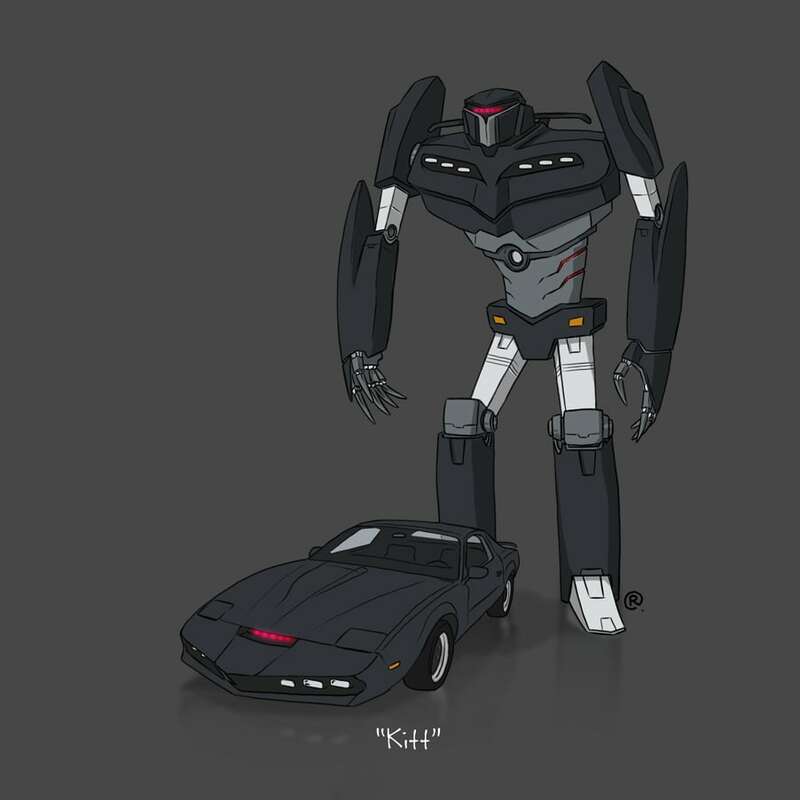 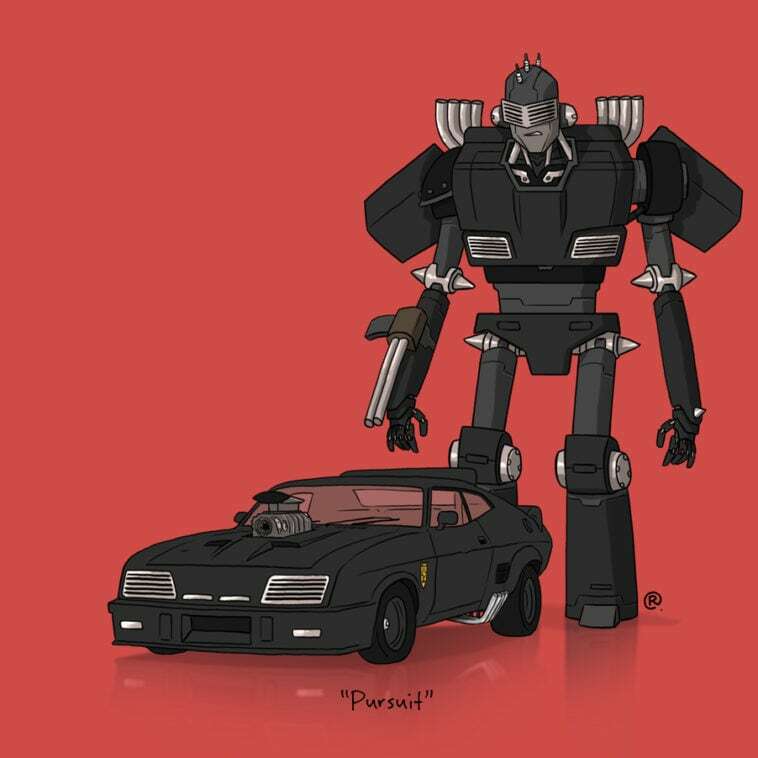 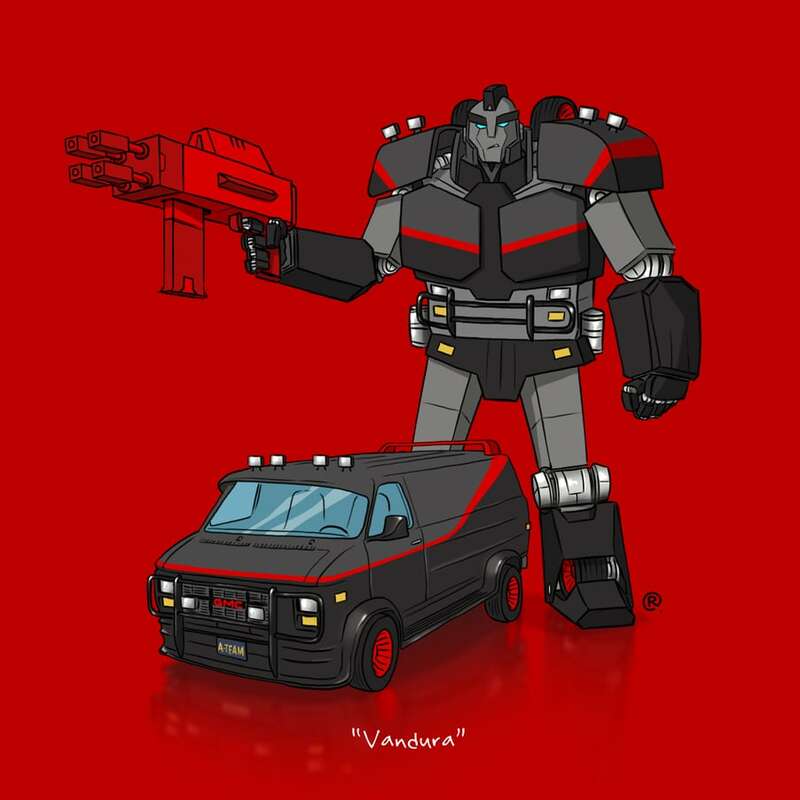 However, KITT, The Mach V, and The A-Team’s GMC Vandura look more like Decepticons. 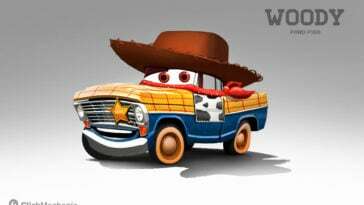 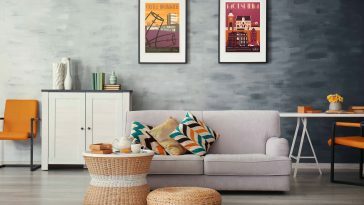 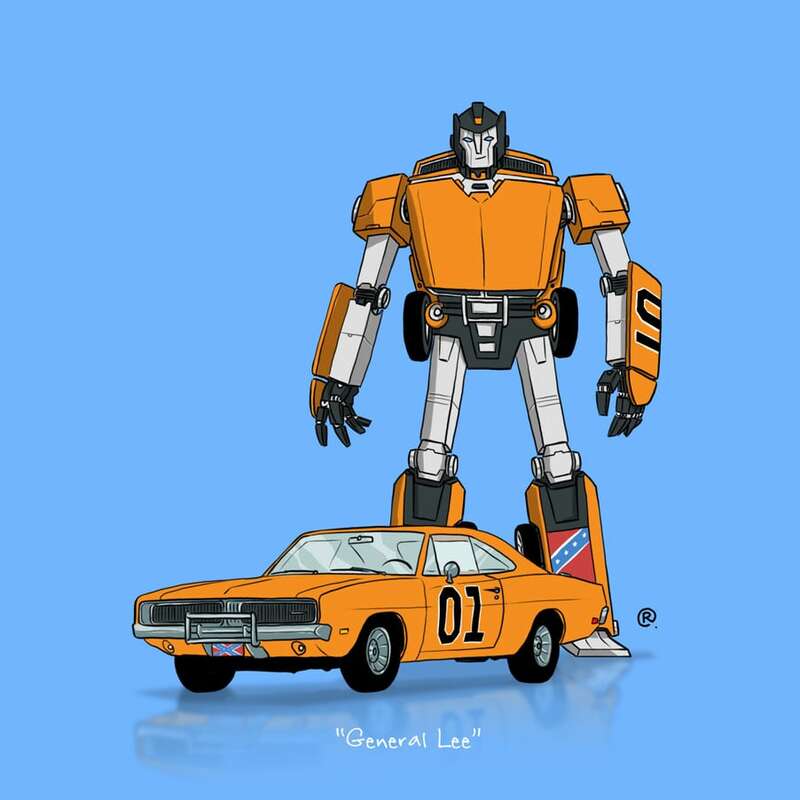 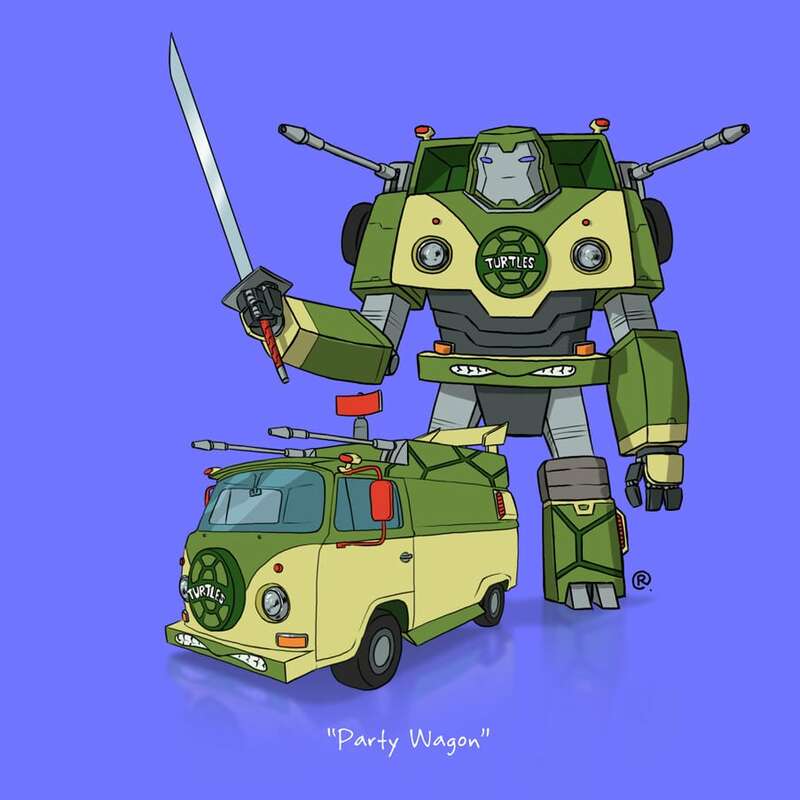 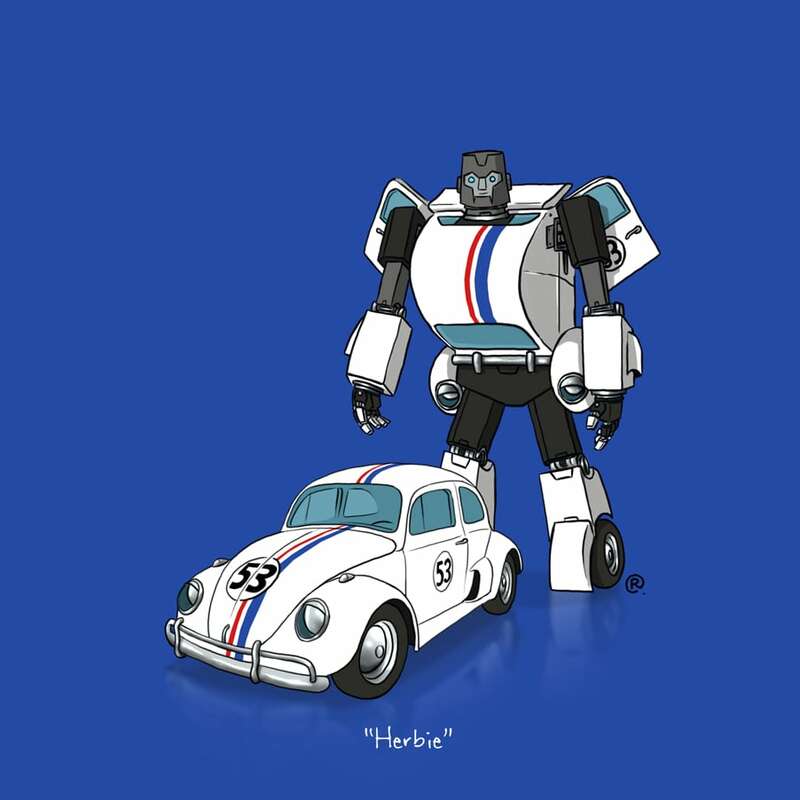 Either way, if you were a robot in disguise, the worst possible deception would be that of a popular movie car “Autobots, transform and stand out.” Yeah, that doesn’t have the same ring to it.